The second phase of the high-stakes election -- with the BJP making a bid for a fifth term and the Congress attempting an electoral revival -- will be held on December 14. AHMEDABAD: Gujarat goes to the polls tomorrow for the first phase of the assembly election being held in 89 seats of Saurashtra and South Gujarat regions with 977 candidates in the fray. 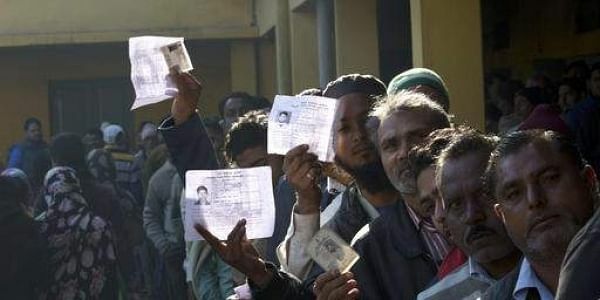 After a campaign that often turned vituperative, around 2.12 crore voters are expected to exercise their franchise in Modi's home state tomorrow to choose between the ruling BJP and the Congress. The high voltage campaign for the first phase ended last evening. Yesterday, the Congress suspended its leader Mani Shankar Aiyar for referring to Modi as a "neech kism ka aadmi" (vile sort of man), triggering a controversy just ahead of the election.